Brilliant bright gold color. Fruity, interesting aromas and flavors of apple-raisin yogurt, toasty nut brittle, and caramelized cheese rind with a supple, bright, moderately sweet medium-to-full body and a smooth, distinctive, long finish displaying nuances of dried peach and mango, yogurt nuts and apricots, and earth with crunchy tannins. A delightfully flavorful and complex dessert wine with a captivating earthy underbelly. 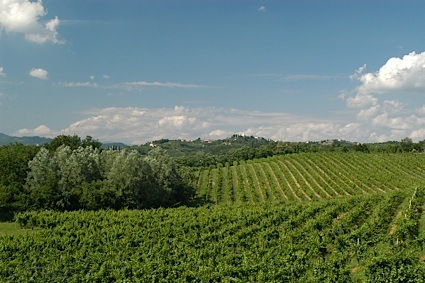 Bottom Line: A delightfully flavorful and complex dessert wine with a captivating earthy underbelly. 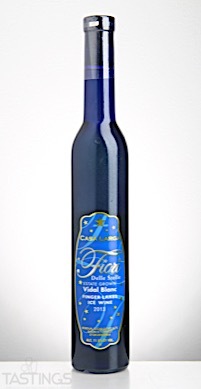 Casa Larga 2013 Fiori Delle Stelle Estate Grown Ice Wine, Vidal Blanc, Finger Lakes rating was calculated by tastings.com to be 92 points out of 100 on 7/14/2017. Please note that MSRP may have changed since the date of our review.